This warning arrived as long ago as 2014 from Sir Roderick Floud, but was not heeded, with the result that they are beginning to file for insolvency. The model in Wales should be one, small, homely federal University, fully bilingual, with all students fully bilingual, no student fees, and small grants. Entry standards should be high, at least three B’s. The university system has become so corrupt that it is offering places unconditionally, without the need for A levels. Fees are being pushed very high, so only the rich and illiterate can afford to enter university. There should be an 80% tax on all university salaries over £100,000, rising to 95% for salaries over £500,000. I am intensely angry at the way in which Vice Chancellors and their rich minions milk the public and do no research themselves. The system in my time was so corrupt that it could not even give me a minor tenured position despite having twenty fellowships stuffed into its mortar (our group won a world record of twenty Fellowships, all fiercely competitive). In fact it deliberately and unlawfully made many attempts to destroy my career. So such a system does not deserve the confidence of the long suffering People of Wales, the true authority in the true University of Wales. The appointments were in smoke filled rooms, the result is that the system is shaking on the brink while vice chancellors like Hughes drink champagne in Hong Kong, all expenses paid. He makes the Versailles Court look like a paragon of Republican virtue. I would not shed any tears of remorse if there were massive closures in Wales, because we are flooded and our language destroyed by low quality students who happen to have rich parents. Welsh speaking Wales suffers the most as usual. We are being told that we are second class disposables who cannot produce Vice Chancellors of our own. Past principals include Sir Thomas Parry and Sir Goronwy Daniel, who handed me my D.Sc. degree. His formidable, anthracite features broke into a broad smile. Forty years later I still remember that vividly. I cannot ever imagine Sir Goronwy swigging champagne in Whitehall at the taxpayers’ expense. This is unknown territory but it is agreed that the wavefunction is the most fundamental concept of quantum mechanics, so if it contains r and t they should be transformed as r goes to r / m(r) power half and t goes to m(r) power half t. The expectation value in the Born interpretation remains the same. The Schroedinger quantization is then the same as usual. This leads to the Planck quantization being modified by the expectation value of m(r). It seems that this is acceptable as a working hypothesis. I experimented in notes for UFT435 until arriving at this new method. 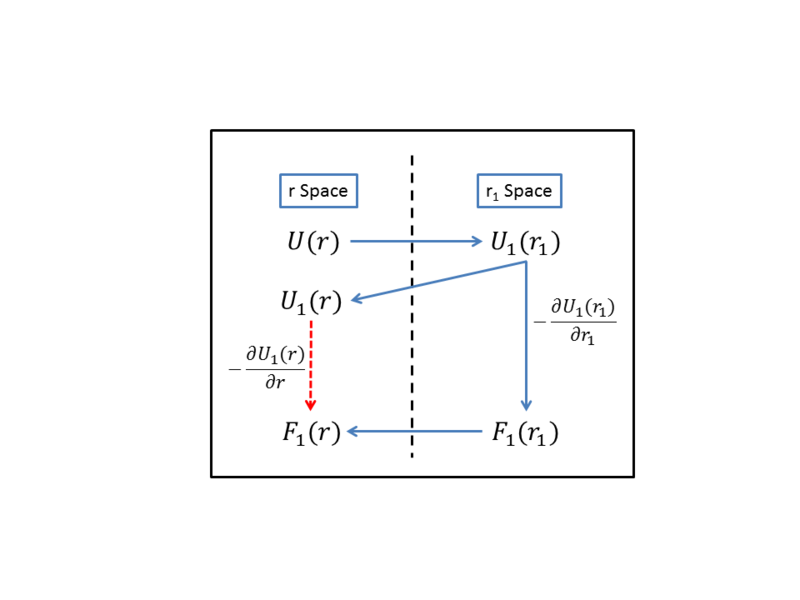 The method is consistent with UFT428, in which the hydrogenic wavefunctions were used in the first approximation. I think that we can see by computation whether this method gives acceptable results. In the early days of quantum theory no one knew how to interpret the wave function, and its interpretation is still a matter of intense debate. These ideas come from the unification of general relativity and quantum mechanics. I arrived at Note 435(6) using the same transformation rules throughout. In all occurrences r is replaced by r / m(r) power half and t is replaced by m(r) power half t. It follows that psi (r, t) of Eq. (4) is replaced by psi(r, t) of Eq. (5). The quantization rules remain the same, because the frame (r, phi) is the same. The state of the particle is completely described by its wavefunction, so I decided to start the analysis with the wavefunction, and to replace r by r / m(r) power half and t by m(r) power half t inside the wavefunction. This gives Eq. (5), in which psi is a function of r and t. So the quantization rules are Eq. (2) and (3) because they are defined in frame (r, t) and psi is defined in terms of r and t. This procedure leads to the modified Planck quantization (10), which uses the expectation value of m power half computed self consistently with the wavefunction (5). This leads self consistently to Eq. (15), which is an equation for the quantized m(r) power half. This philosophy is based on the fundamental role of the wavefunction. The Born normalization remains the same. Since all this is completely new to physics, there is no precedent, so any self consistent procedure can be used. As usual, experiments must decide whether the results are acceptable or not. In the past five years the number of files downloaded (hits) increased by 236%, and the number of distinct visits increased by 165%. In 2018 there were 2,921,917 hits and 437,528 distinct visits. A comparison is given with departments and research groups, showing that the impact of AIAS / UPITEC is orders of magnitude higher. In terms of hits and visits per active author, we are the leading institute in the world by orders of magnitude. A meaningful comparison should be made with other departments and groups. This work has been recognized with numerous awards and nominations, and overturns the standard model of physics. In terms of hits we outperform a conservative physics department such as as the one at Utah by 2,921,917 to 51,804 hits per year at present. The conservative physics departments teach material which is instantly rejected worldwide as soon as it is published. The performance of departments and staff inside the University of Wales is very poor in comparison with ours. This can be seen by the various h and g index comparison which I have published. I might ask Queen Elizabeth for a Castle as a reward for this performance. If a Vice Cahncellor turned in such a performance he would be driven around in a solid gold chariot and elevated to a god like Claudius. There was the usual intense interest from world leading universities, institutes and similar. This interest has now been sustained at this high level since records of this type began on 30/4/2004 – fifteen years. This is a very efficient method of teaching and research, at no cost to the taxpayer. No champaign and oysters, huge salaries, thousand pound suits, mansions, lavish cars and first class travel, but a dramatically new physics making a huge impact in two hundred countries. I don’t like oysters, I prefer cod and chips. Illinois Urbana-Champaign is ranked 29 in the world by Webometrics, 50 by Times, 71 by QS and 41 by Shanghai. It was founded in 1867 and is associated with 30 Nobel Laureates, 2 Turing Award winners, and 1 Fields Medallist. UFT88 is a famous paper which refutes the Einsteinian general relativity completely by use of the correct geometry in the second Bianchi identity, thus developing it into the JCE identity of UFT313. Attached is a survey of UFT88, which is estimated to record about 5% or less of the vast total interest. This is because only public URL’s can be identified and the great majority of staff and students use private computers. So the standard model of physics is being rejected in favour of ECE physics. The equivalent of 388,371 printed pages was downloaded (1.416 megabytes) from 2,801 downloaded memory files (hits) and 406 distinct visits each averaging 5.4 memory pages and 9 minutes, printed pages to hits ratio 138.65, top referrals total 2,673,799, 57.1% spiders from Amazon, Baidu, Google and MSN. City of Girona Catalonia F3(Sp); Apple Inc. spidering; Fraunhofer Institute for Communication, Information Processing and Ergonomics AIAS staff,IBM Code, UFT76; University of Illinois Urbana-Champaign UFT88; Department of Electrical Engineering National Cheng Kung University Taiwan ECE Engineering Model; British Library site download. Intense interest all sectors, webalizer file attached. The more I read and see about so called "Vice Chancellors" the more I throw up as they say in New York City. Contrast them with the early British and Irish Saints, and the anchorites of Skellig Michael (Kenneth Clark ,"Civilization", Episode One, HD on youtube) They were paid nothing at all, very similar to AIAS / UPITEC. I would advocate a Vice Chancellor tax especially for them, at about 80% of income, that would still leave them very well off. Henry VIII would have dissolved them and laid waste to their houses. I am not my ancestral cousin Henry VIII Tudor but advocate the downsizing of the foreign universities in Wales by about 90%, leaving the true University of Wales. The expenses are particularly sickening, together with the microscopic h and g indices. In my time I as prohibited from ordering offprints and reprimanded for over use of postage and xerox. If I had the power and fury of Henry VIII or Oliver Cromwell they would not last two minutes. I think that it is symptomatic of our times that an ancient monument could be declared redundant. I think that it should be listed by CADW so that it cannot be destroyed. It may be possible for your historical society to do this. It should not be desecrated in any way because it is consecrated ground and has been for 1,500 years. The name Llanspyddid comes from Llan Yspyddid, (the cell or cella of Sant Yspyddid) and the church is dedicated to Sant Cadog. If the church cannot keep it open a secular and interdenominational effort can be made to keep it open as a cultural centre. The secular Government should inject enough funding to keep all endangered churches and chapel open and to prohibit them from being used as houses. This is desecration. There are many of these already available and are all read around the world. There are several by Horst Eckardt and Doug Lindstrom and colleagues, and very well written articles by Gareth Evans in the form of nomination summaries and so forth. Alwyn van der Merwe’s powerful and well known support letter for my Civil List Pension is on the site. The well known biography by Kerry Pendergast, “The Life of Myron Evans” is not on the site but can be bought from any good bookshop. It is easily googled up. The well known monograph by Laurence Felker is on the site, “The Evans Equations of Unified Field Theory”, and its chapter three in classical Spanish is an astounding success, denoted F3(Sp) for short. “Principles of ECE Theory” is doing very well and so are all the other monographs. There are circuit papers from the Muenich group, animations, essay broadcasts and so on. Anyone looking at www.aias.us/new_stats/ will see a huge long line of all the articles being consulted 24/7/365, three thousand four hundred and six items on www.aias.us to date in March 2019, many more on www.upitec.org and www.et3m.net.. Robert Cheshire has written a brilliantly illustrated article on galaxies, and Steve Bannister’s important Ph. D. Thesis is on the site. So if these were developed into articles of say fifteen pages, they can be published. This will give the perspective of the colleagues, from chemistry and physics to economics. All colleagues are invited to write such articles if they wish. You are currently browsing the Dr. Myron Evans blog archives for March, 2019.